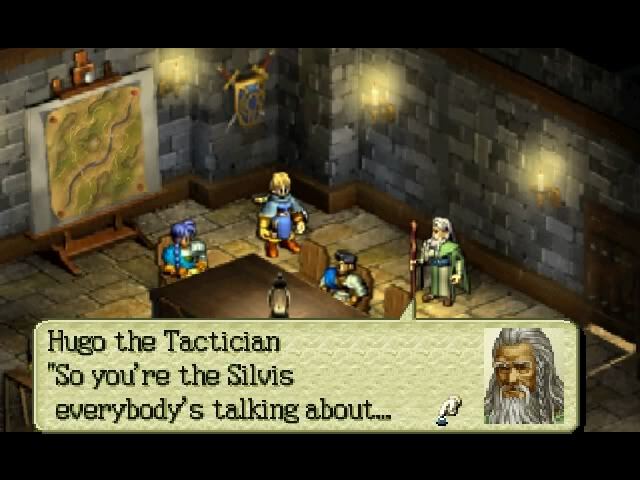 Few strategy rpg's are held in such legendary regards as Ogre Battle 64, and you'll soon find out why in this detailed review! In Ogre Battle 64 you take the role of a young new recruit of the Palatinius army, and son of a notorious knight Magnus Gallant who wants to get stronger to protect those he cares about, but soon finds himself in the middle of a revolt against Lodis, and must face a difficult decision, should he play it safe and fight against the rebels or should he betray Lodis and join them? The story is played out through intermissions between missions, and is very good despite the lack of cinematics! There are also many aspects of the story that can't be seen without searching for the games plentiful, but extremely hard to find sidequests, so expect multiple playthroughs! The gameplay is one of this game's strongest features which says alot since the other aspects are strong as well! The game starts with you being asked several questions which determines what starting units you start out with, your birthday, and other factors, afterwards you start a prologue mission! 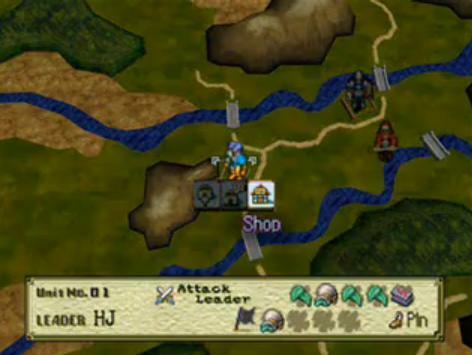 The mission is played on an overhead view map where you move, and dispatch characters, and can shop or even encounter monsters to add to your units! If your unit comes in contact with an enemy unit a battle will commence. Battles are automatic, and characters will attack a set number of times "depending on the class, and position of the character in the unit" you can, however change the strategy or use an ultimate attack using an elemental pedra during battle, though the latter will be hard until later missions. This game also features many sidequests to obtain new equipment, new classes, new characters and even more powerful elemental pedra's, but will require alot of patience, and help from strategy guides to find everything this game has to offer! This game is also long, and has over 40 branching missions which can easily take over 100 hours just to beat without taking into account all of the sidequests! Character class changes aren't permanent, and can be changed between missions for all human classes "zombies, ghosts, and monsters can't be changed back into humans/regressed to previous classes. The only way to obtain new human class characters is to utilize the weak soldier class, and level up your unit leader, upon level up the soldiers become a low class character "the class is dependant on the unit leader's gender" note however that leveling up through practice between missions won't work, it must be done through missions! Finally the main characters e.g. Magnus, Dio, Leia etc. will be powered up greatly during key points of the story, though they can never change class. 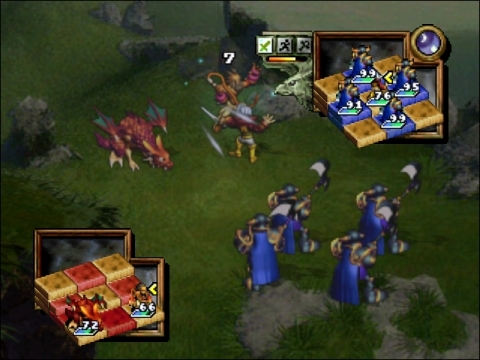 The graphics in Ogre Battle 64 are colorful, and run smoothly on the Wii, but certainly aren't anything special, though they are quite good for a strategy game. The character models are very good for a N64 game as they aren't clunky or jaggid, and their animations are very fluid! The Soundtrack on the other hand is superb, and features many fantastic tracks and might be one of the best seen on the N64! don't expect any voice acting in this game, because there isn't any since the game is older, and the limitations of the N64 cartridges wouldn't allow that much content. 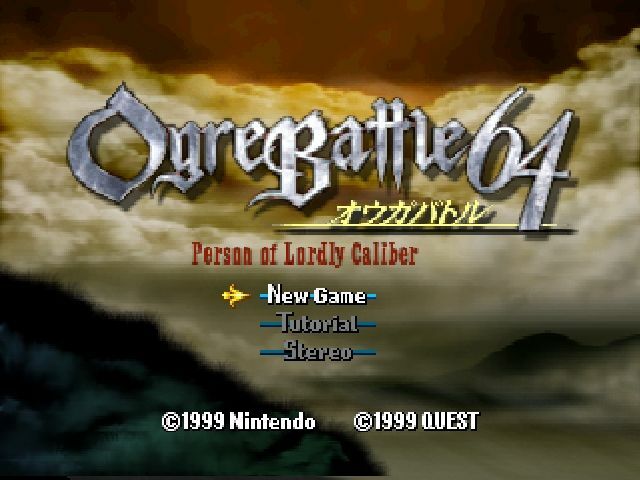 With a fantastic story, excellent gameplay, tons of content, and an awesome soundtrack you should definitel download Ogre Battle 64: Person of Lordly Caliber if you enjoy strategy games! Wow ! While I don't have any interests in picking up this game, you really did a great job on this review ! definitely your best one yet ! Good job on this wonderful review Rukiafan. I really have to get this some time, but I need to beat Ogre Battle: The March of the Black Queen (VC/SNES) first. It has been quite some time since your last review...you did a great job on this review. Nice review Rukiafan! I downloaded this a longtime ago, played through the tutorial and haven't came back to it since. It's just another one of those games I'll have to get back to someday. Ogre Battle 64 has a surprising amount of depth for a Nintendo 64 game!